Every so often a band comes along and I completely fall in love with them even if I cannot fully the describe the extent of their rock-electronics madness. 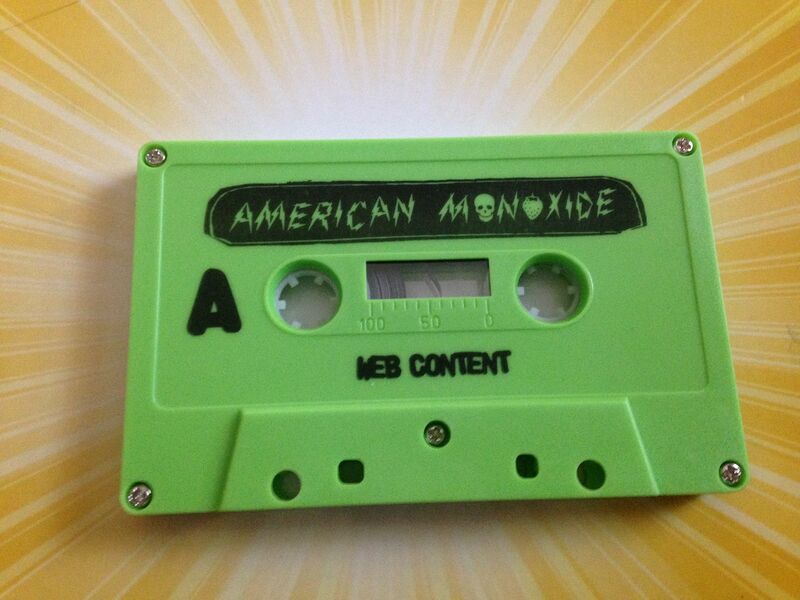 American Monoxide is about as vague in their music as they are in the title to this cassette. Is "Web Content" a reference to the world wide web and content on websites? 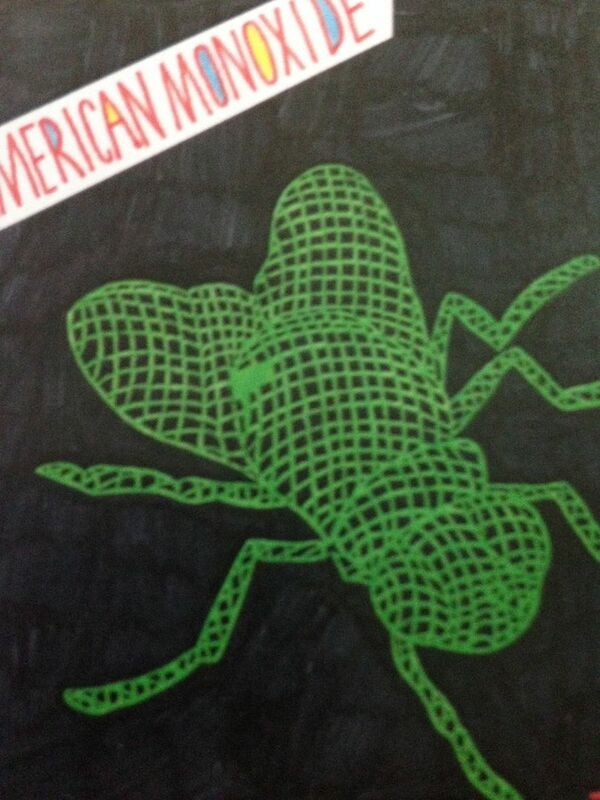 Or could it be the idea that you are a fly and being caught by a spider has made you more content than the fear of flying around and wondering not if but when it will happen. Twangy weirdo rock begins with the words "American Monoxide" spoken and then it stays pretty well instrumental after that. It's distorted pop at its finest. The fun of "Block Rockin' Beats" can be found mixed with the laid back style of The James Gang. There are loops and it's just a whole lot of fun. Lyrics do eventually come in on Side A- as they also make an appearance on Side B- but this is clearly a cassette of music over lyrics. 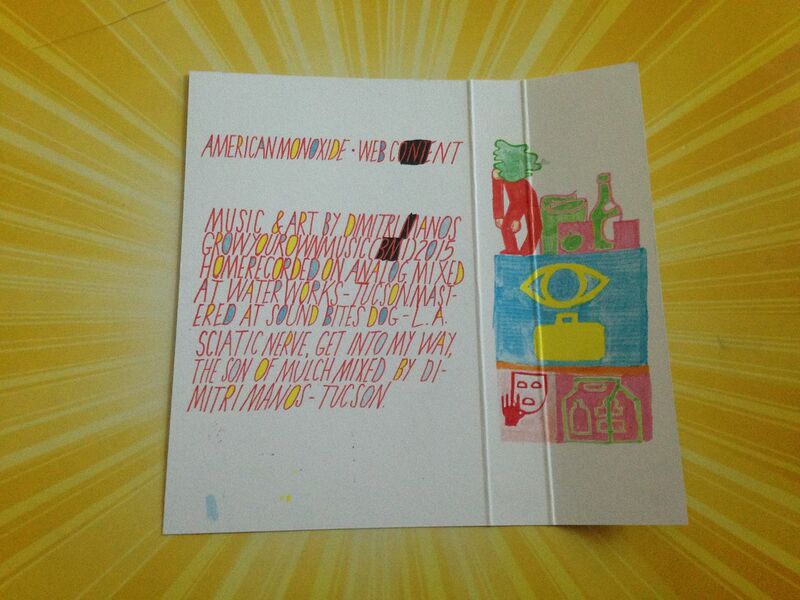 From bands like Hellogoodbye to the 8bit genre to artists such as Beck and Spoon, American Monoxide can feel like they're all over the place yet somehow manage to stay confined within their own desires. I like to think of their sound as being an empty room with a super bounce ball unleashed in it, though they don't quite change up their genres that quickly as, you know, they loop. I could give this some kind of new genre name such as electro-grind or future-psych but it just defies all genres and you truly have to listen to it (over and over) to capture the pure essence of it all. A slight bit of Devo brings about sirens and one of my favorite lines on this entire cassette comes out after a combination of drum machines and folk rock: "But the bravest thing I've done is trapped on VHS". 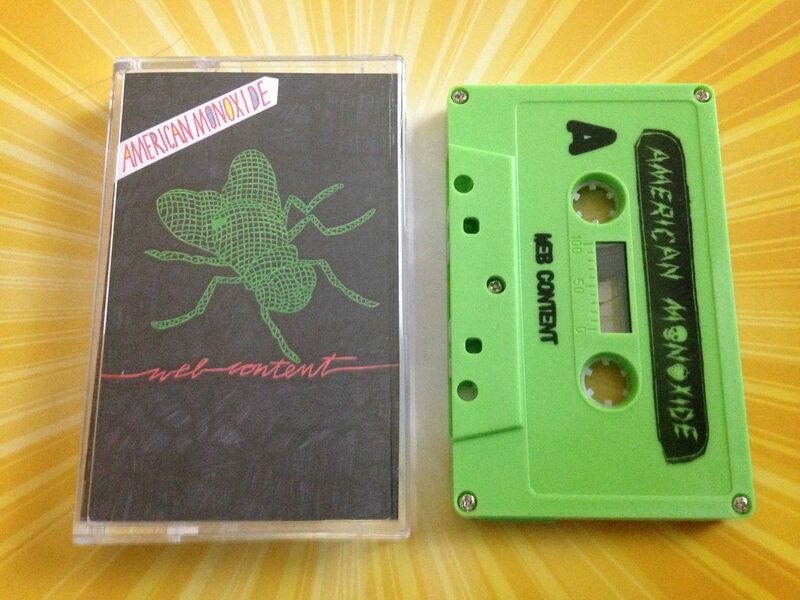 In most cases I feel like I'm trying to justify why you should spend x amount of dollars for this cassette by giving you all of the good reasons. Sure, the music can be the best reason but if I simply broke it down into "good" or "bad" then I'd have nothing to write about, sadly. 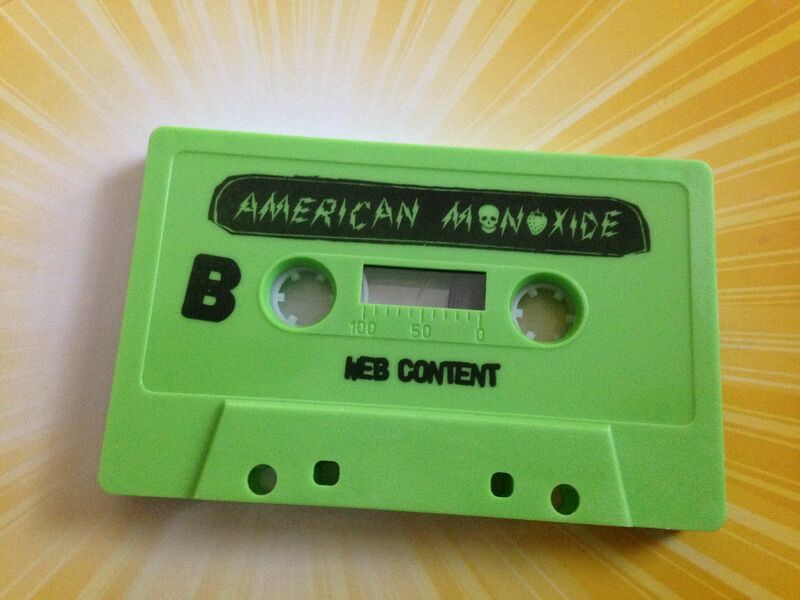 With American Monoxide though it's not about the reasons why you *should* listen to this cassette so much as the fact that I cannot find any reasons not to listen to this.